In addition to improving security, biometrics can also save company time by eliminating complicated passwords. 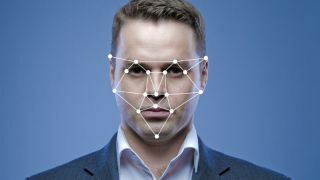 Biometric technologies such as fingerprint, facial, voice and iris recognition, once confined to military bases and fictional futures, are increasingly common around the world. Today, fingerprint, facial and iris scanners are used not just to unlock our phones but also to register to buy tickets, make payments, as well as creating new opportunities for retail. With 75% of millennials now comfortable using biometrics and 87% of all adults saying they’ll be comfortable with these technologies in the future, it will be no different in the workplace. With biometric technologies set to streamline many work processes, increase security and ultimately create a happier workplace. We believe these are the key reasons biometric technology will become a strategy priority in the workplace. But how will this happen? And are there examples of it happening already? There is much discussion about using biometric technology in the workplace to track time worked by shift workers, firmly placing the benefits with the employer. But there are other ways biometric technology can save time and money for both the employer and the employee. For companies that need to hire a lot of employees fast (seasonal, rapid turnover etc. - think G4S for events or Sainsbury's at Christmas), biometric checks during the screening process can flag up problems with new hires and even stop an employer breaking the law by hiring an illegal worker. Collecting and verifying Right-to-Work Documents can be the bane of many HR departments lives, but a biometric pre-screening service will make this process simple and fast. Such systems also allow remote onboarding, thus avoiding expensive trips, especially for those relocating, just to deliver documents. All this frees up time and money for the employer and the employees. Using NFC to read and then validate the chip on a passport remotely, against something such as a selfie, is a great example of technology helping to save time and money. Although currently only possible on Android phones, this capability really ramps up the ability identify customers and employees accurately. Biometric technologies also have a key role to play once an employee has taken up their role. If a biometric profile has been created during the screening process and the employee is working in the company, the profile can be checked against when the employee is undertaking any activity associated with risk - such as making a payment or accessing secure files - thus weeding out fraud and helping the employee know they are safe. Perhaps one of the least secure forms of security could also be removed with the introduction of biometrics: passwords. Passwords are part of an entrenched user interface that gets used out of habit more than anything else. As well as passwords being hard to remember, they are as fiddly as they are outdated. Using biometrics instead of passwords shifts the burden from the employee to the employer and ultimately reduce the costs employers often burden due to the growing types of fraud. The clear strengths for users of biometrics in this case are obvious: you cannot forget your face, your voice or your fingerprints — and if used together in a multi-modal way it creates a far stronger and more secure system than a simple plain text password. Introducing multi-modal biometrics is a serious step to counter fraudulent activity. The future of biometric technology is interesting in itself, fingers, hands, irises and faces don’t exhaust the body’s biometric identifiers. Companies are looking into heart rhythms, eye veins and finger veins to name a few. Barclays Bank has used finger vein readers with its corporate customers since 2014. For people management, the emerging area of behavioural biometrics (such as monitoring how people walk, type, speak and more) could be used for workplace health. One example could be that employers could monitor desk placement and movement around them to ensure the best design of a physical space, whilst perhaps also working out if people are moving enough from their desks and getting enough exercise. There are many other possibilities but it’s about ultimately using the data to create a healthier and happier workplace for those who are in it. Accuracy is critical when choosing a modality and a vendor. You should consider error rate, false acceptance rate (FAR) and identification rate of the tech you want to use to name a few. Spoofing is a very real problem for most biometric modes. If fraud is a concern in your use case you should be considering protection such as liveness detection or newer, more sophisticated modes. Acceptability - how easy is this mode/vendor to use? For example, fingerprints and facial recognition have become a widespread form of biometrics that need just a phone and no hardware. Cost effectiveness of the mode for your business allows you to understand the return on investment that (ROI) you will receive. Be sure to evaluate cost of many vendors and ensure you're getting the best ROI. Ease of integration - how easy is it for your development team to integrate it into your current website, app or technology? Finding out effort and time this takes will help you make a better decision. On top of this, you must be aware of your legal obligations with data and also be completely transparent on the usage of that data with your employees. You should explain the benefits to them, but also ensure they know what’s happening with their data. The benefits of workplace biometrics are clear enough, especially multi-modal biometrics, which will give both employers and employees more security and time and even create a better place to work.